This salty and spicy snack combo is a great complement to a beverage of your choice and dips of all kinds. 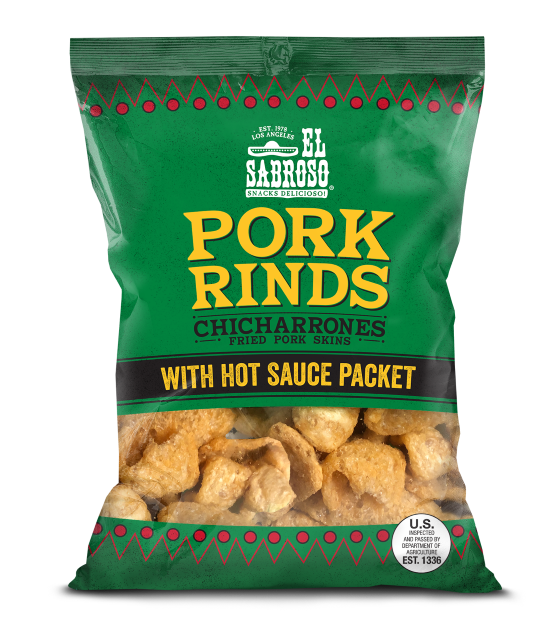 For over 40 years, El Sabroso® has been cooking up delicious, crispy pork rinds to the highest quality standards. Hot sauce packet included.